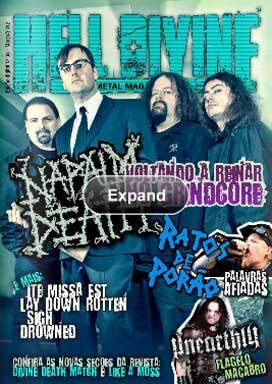 Thanks Heavy Metal Artwork for the invitation and interest on my work and my professional life! What I do it's for a passion since the beginning. I had this opportunity to work near to great bands doing what I love that's listen to metal bands, and create album covers for them. CadiesArt - Digital ArtWork is an international graphic design studio specialized in artworks and designs for bands, musicians, stamps, labels and companies around the world in music industry. Works mainly within the music industry for rock and metal genres from small to major bands, but is also available for all kinds of different commissioned works. HMA: What is your background, education and training? 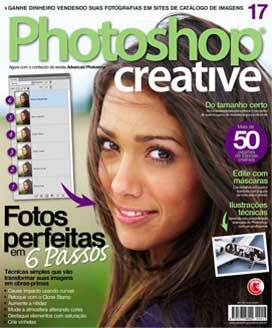 I’m Caio Caldas, 25, a freelancer graphic designer from Sao Paulo – Brazil. Artist, graphic designer, art director and owner of “CadiesArt - Digital ArtWork” since late 2009. There was no definitive moment or beginning time in graphic and visual arts. It was something from early since childhood making some drawings and artistic works for school and fun. I had some private lessons on free hand drawing with no purpose in work with it in the future. To be honest I didn’t liked too much free hand drawings and just abandoned it after some time… then, around 2007, I got more interested in use graphic softwares starting with Photoshop 7 for digital arts. I got Photoshop 7 and later CS2 version on my computer and started playing around with some photos editing just for fun. I got quickly passionate seeing what could be done on it, so I decided start learning the software seriously in order to be able to create some cool stuff by myself. I eventually ended up loving sitting in front of my computer all day creating. All my first knowledge has always been through research, observation and reading a lot of magazines, about the software and watch tutorials from time to time too when I had time for. That’s basically how I get started and that’s what pushed me to continue learning and improving. I started to dedicate myself more seriously and take it more professionally in late 2009, so in 2010 I took a year at an Authorized Adobe Training Center, which was a “pre-diploma”, having some training in all Adobe graphic softwares (such as Photoshop CS4, Illustrator CS4, InDesign CS4 and Acrobat X) to get certificated as a professional user with the purpose to enter in the Italian University of Design, IED – Istituto Europeo di Design, where I got graduated in Graphic Design in late 2013/2014, and it was really important to me and my career. Although almost everything I do in my artworks I didn’t learn in the University or Adobe Training, I must confess, some things you just don’t learn in schools and university, that’s the truth. 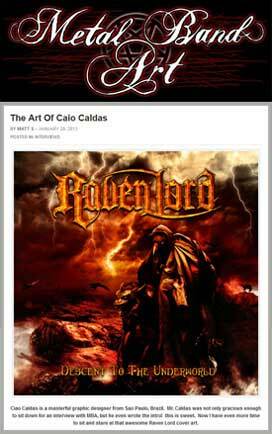 HMA: How did you get started in designing and creating artwork for Heavy Metal bands? Due to the interest for music and rock, since childhood, where every day was introduced for a new band, awakening interest in work in the music business someway. Starting the interest in music, choosing to become a musician, I played some instruments such as keyboard, guitar and bass, for a long time. Naturally approach to other local independent and undergrounds musicians and bands. Since starting to have an interest in music genres around rock and metal, what caught my attention to discover new bands were always the album covers and the beauty of its arts, while keeping the relation between the album art and its music. I think I became a cover art lover after start to listen to Heavy Metal music. At some point a friend of my father gave me a CD with an awesome monster on the cover. This album was from Iron Maiden, and the monster? Called “EDDIE”. It instantly caught my interest in Heavy Metal and /cover arts, mainly all covers from Iron Maiden and Derek Riggs. Then got decided in work in the business of design and graphic arts for music industry, making graphic arts for bands, musicians, record labels, national and international, with focus in rock and metal genres. As so many others I had a dream that once in my life I would get the chance to do a real album cover for some band and see it on stores like a framed piece of art in a museum. So in late 2009 came the idea to join my two passions: Music and Art. So I created my first and current Graphic Design brand called “CadiesArt – Digital ArtWork”. I started designing some first cover artworks to put For Sale somewhere, so I though that would be cool have a MySpace Profile for it and uploaded some cover artworks for bands instead have only music on it and after a while some bands contacted me interested in buying and using my work for their upcoming albums. That works for me so fast. I had no problem with my art getting noticed there. I'm proud to have made some kind of career with my dreams. My first ever cover artwork done and also sold, via MySpace, was for a Norwegian band called Dominanz for their debut album “As I Shine” back in 2009, a month later I have started on this music art business. After some time and dedication, the brand began to be recognized internationally for new undergrounds bands. So my first arts began to be sold outside Brazil mainly. Today I'm all the time busy with art, design, music, bands, artists and the whole scene. Now days I think I have extensive knowledge of the music industry, with experience as a musician, listener and as a professional graphic artist and designer. Even though specialized in arts for album covers, I know exactly what bands needs and I try to offer an extensive list of graphics and digital services that are necessary in the music business and its releases proposing also prices that works for small independent customers budgets too. 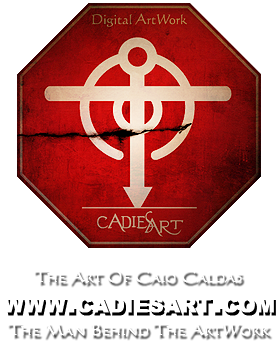 CadiesArt are about 6 years working with bands, musicians, stamps, labels and companies around the world in music industry for rock and metal genres. Always evolving in graphics softwares on my own since 2007, I decided to go to a new professional level, in late 2009, marking the beginning of my own brand and design studio called "CadiesArt", with a focus on design for the music industry. The studio design emerged from identified opportunity to act as an intermediary in the music industry in idealization of graphic designs for small, independent bands and labels. I want to contribute to the approach of the listener with the graphic design of the record, contributing to the music industry and album sales in physical media, being as CD or Vinyl (LP) releases that's even better. CadiesArt wants to restore the importance of the relationship between music and art in download times and online music. The brand have already worked around 45 countries and for about 250 bands and musicians since late 2009. It always got good recommendations from worldwide since the beginning. HMA: What are your views when it comes to experience music and the visual arts? I grew up listening to rock and metal music so this is one thing that can’t be missing when I’m creating an artwork. I always ask the band, when possible, some link to listen to the band or demos for the album I’m work on. I need to listen some music when I’m creating. I think it’s also important knows if the cover artwork you are creating have some connection with the band style, genre, concept, lyrics. Also when I’m designing my own artworks to put for sale I always listen to some metal bands that I like during the process of creation, this help me to get inspirations and ideas. This is the cool part of be a headbanger and a graphic artist for bands, you can create art and listen to metal at the same time. Personally I think music and visual art are brothers, they need each other and are extremely connected. I think there’s no other genre in music than metal where artwork is so important as the music itself, sometime even more important because in a store, for example, you see first the cover and only after buy the album you can listen to it. For me a good cover is still important for an album now days, some bands don’t think like this and I pray for their future, really. A good package can lift the experience when listening to the music. The listener and fan want a full experience seen the artwork, read the lyrics while enjoying the music. The existence of the physical form of media is needed for the artist's work. At first, the support of the physical media represented an artistic and material worth near to the album. It is important to rescue the desire to purchase the artist's album in physical media, giving due importance to graphic design, which is part of it and complements it’s content and music. Combinations of graphic image and music bring one more opportunity to promote the release, also an album is an "audiovisual" product and allow both visual appreciation, tactile and listening experiences. It is a form of expression and artistic language in which they are embedded genres and different styles of art and music. The cover must reflect their music and the ideas contained in. The different styles and elements used in the album covers differentiate the artist among others. The image in this sense is not only a label, but an interpretive album expression. The covers become second way to communicate the music to the listener. Often, the cover visually translates the name of the album or tracks on the disc. Until then, the covers were traditionally presented in simple cardboard, containing only the name of the artist and the album title printed, the basic information needed, but nothing attractive to the public and market. NO cover artworks on it. So the american Alex Steinweiss, at 23 years old, imagined as a creative opportunity, it would be important that the discs start to present graphic arts, original works, which would express the music and quality contained in the record, and these graphic arts could represent each artist and their music. The identification of the album becomes much easier represented by a printed picture than only the artist name. Often, the album is best remembered for his graphic work than the musical content contained within sometimes. We all should thank to Alex Steinweiss for having the first ever idea of put an album cover art in a record getting it’s sales increased by 895% with the new cover developed for the record, which was the first album cover ever created. This showed the importance that the visual arts would have on the music. The CadiesArt team consists of a single professional graphic designer, which has solid experience in the music business and design. Already having past experience as a musician and 6 years working as a freelance designer only for music industry. With great training and above all, motivation to face and overcome the challenges of managing a brand, generating positive results and expanding to worldwide, CadiesArt through the art helps to overcome the difficulties of maintaining in the national and international music industry. The Vitruvian Man and CadiesArt Signature. Inspired by the work of the Roman architect Vitruvius Pollio, De Architecture, which explains the relationship between symmetry and perfection, Leonardo Da Vinci produced his most famous design, which became the world's most famous design, too: "Vitruvian Man". Da Vinci's drawing is used as a reference aesthetics of symmetry and proportion in the world. Inspired by the work of these two great artists, CadiesArt's Symbol represents the Symmetry, Proportion and Perfection. The slogan "The Man Behind The Artwork" is also a connection with Da Vinci’s creation. HMA: How would you describe your technique? I think I don’t really like hand-draw in paper or anything like that. I’m not so good on drawings by freehand. So my area is Digital Art, 100% of my work is done digitally in front of my desk computer through a mixed media process, manipulating images and photos with photo-manipulation techniques, doing collages, working with textures using digital resources, with Photoshop, mostly. It’s important to say that my work is different from a drawer or painter process. Many people don’t understand it very well and how it works. What do you do to keep your creativity fresh, and your ideas constantly evolving? Most of my time as a digital artist is dedicated to image search, from free to paid stocks. My image bank have today about 18.030 stock images from paid and free banks, always with high resolution and always respecting their rightful copyrights for use. In the process of an artwork idealization, I always try to have artistic references and get some inspiration before starting to produce it. After this step I start an image search, seeing what would fit together and then apply digital techniques. I always try to learn new techniques that can be used in my future work. Every day I look for a new digital references, a new job, meet new artists. Design is a process that involves research, dedication, technique, time and above all, creativity. HMA: Do you often get direction from the bands? And if you do, what does that involve? Sure, sometimes some bands prefer to have your own concept idea for the album cover artwork giving their own directions, ideas and references but also of course there’s always my personal vision inserted on it somehow. 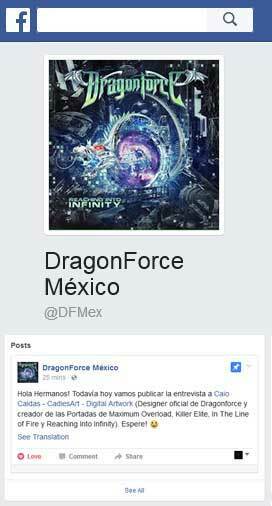 The cover artwork I designed for DragonForce “Maximum Overload” album, started from a funny “child” scratch I received from Fred Leclercq (DF bass player), but that really helped out somehow to get their main ideas for the cover and for the research to start with the creative process. So in this cases the bands send me a brainstorm, all the concept and story of the album if a concept album, some main lyrics that can help get some initial ideas, sometimes scratches, so I start from there. Sometimes all I have is the release title and a “do something nice for us that would fit this title”, as was the case of DragonForce’s “Killer Elite” compilation cover that was released last month and also the Live DVD “In The Line Of Fire” cover. When I reach a draft good enough to show to my client, I send it for a first approve. Once approved, I continue working on it to make everything better and doing the changes needed, adjusting details, improving colors and finally finishing it for a final preview. Usually don’t take more than 3 or 4 reviews during the creation process. When a more complex concept and artwork, can get up to 6 or 7 previews sometimes, I think I never did more than it for a cover. I can list here some other covers I did over the years that was based on bands directions and own concepts ideas: Arrayan Path “Chronicles Of Light”; Gui Santos “Hope”; Hellevate “Weapons Agains Their Will”; Memorain “Duality Of Man”; Neverworld “Dreamsnatcher”; Salvator “The Ariser”; Shumaun “Shumaun”; Sonus Umbra “Beyond The Panopticon”; SoulSpell “My Heart Will Go On”; Edge Of Paradise “Immortal Waltz”; Memorain “Zero Hour”; Platens “Out Of The World”; Christopher Lee: Charlemagne “The Omens Of Death”; Escape Tonight “Ampersand”; Last Bastion “ The Road To Redemption”; Raven Lord “Descent To The Underworld”; UntilDawn “Horizon” and a few others. All concepts and quotes from the bands for each cover artwork done can be found at my website gallery in each cover artwork description as well. Also as I have many pre-mades artworks available for sale, almost 200 covers today. Some bands prefer to buy a premade artwork and ask me some changes on it to fit to the album concept/title or just take as it is what is the most of cases. That’s helps a lot the band to find what they are looking for to represent their album and music when they done know exactly what they want or when they a in rush to promote the release. HMA: Often we experience heavy use of symbolism in the visual narrative of Heavy Metal covers i.e. occult, mythology, science fiction, religious iconography, gods/devils, the darkside, etc. Your artwork also make use of symbolism. Do you have any personal interests in these kind of literature/topics? And how does it influence/inspire you work? I’m a kind of artist who explore all kind of visual, such as mythology, science fiction, religious with gods and devils, occult… I'm not stuck on only one thing as I'm not really connected to religion or any culture that can change the result of my work. That’s one of the reasons I like metal, there is no prejudice against it’s genres. HMA: In terms of style and techniques what are your inspirations and why? Where else do you find inspirations? i.e. Authors, films, history, mythology, religion, etc. Only after some time having that relationship with the covers of the rock albums I bought, I started to find out what are the artists behind them. From there I started to find some artists references to me and my brand. One of the main artists who I always loved since childhood when I began to listen heavy metal and that influenced me a lot to get into the art business for bands, was the great Artist Derek Riggs, creator of one of the most famous, if not the greatest, mascots of Heavy Metal: Eddie / Iron Maiden. This guy has illustrated for me the best and most awesome album covers I’ve ever seen. It’s hard to describe their covers by the amount of details found on it or even hidden, especially the ones designed for Iron Maiden at the time. My Symbol, CadiesArt Signature was totally inspired by him, who also had a mysterious symbol as a signature on their covers. But the creation of my symbol was something more conceptual and inspirited by Leonardo DaVinci too, but the idea came from Riggs and his “secrets” in his illustrations. He is an artist who inspires me by his career and history, but would not say it is an artist who directly inspired my digital arts. I’m an artist that everyday look for a new digital reference, find new artists in my area. I think can’t list names for now have a varied list of references that I really like… But I think my digital art is not directly inspired by these artists. Today as a designer and graphic artist for over 6 years, I learned that any kind of work have a study behind it, a research, even if unintentional. For example, today anything that is created always has a reference behind it, day by day, movies, internet… All this makes you stay in touch with Art 24 hours by day, anywhere you are. So when I start to create an art, all that goes through my head, new ideas, images, concepts and stories. HMA: The cover art that best defines your technique and your vision and how would you call the style? I have always been interested in the album artworks, so my style in these years was already influenced by metal music and album artworks. Most of my artworks have the tendency to be very symmetrical and mirroed. I love a great album cover with many details and a great concept behind it, in particularly digital art for me was how you can expressing your world and it’s fantasy. I’m not sure if I have my own style of art yet, but if you really like what you do, you ever want to know more, so every day I’m studying new techniques and new references of Digital Art. When I look to my firsts Artworks on my gallery and my current ones, I really see some evolution on my techniques, concepts and I have more references now. HMA: What is your setup i.e. software, computer, live drawing, studio, paint, etc. CadiesArt has a unique particular studio, not commercial place, where all graphic and digital productions are performed. I like to work with two screens, one of 21 inch wide always used for references and select images… and a side Wacom monitor for work. I don't have professional internal printers for large prints, only particular user small printers for quick good prints and other things, but have also a near high res printer shop near my studio when needed. I’m a PC user, I have also a MAC but I really hate it… so I work only at PC. I have a NVIDIA GeForce GTX 750 Ti 2Gb on my PC desk for my graphics performance. This GPU is aimed at energy efficiency, present much more performance consuming much less energy. Brings an optimal balance between visual quality and performance for my artworks. About a year ago I wanted to improve my tools speeding up the workflow, so I spent several hours perusing all the available Wacom Cintiq models, and decided on the Wacom Cintiq 22HD model large high-definition display, non-touch version as it was about 15% more expensive for just a hand touch screen. It has a 1920 x 1080 resolution 21.5 inch H-IPS LCD panel. The screen’s viewable area is about 18.55 inches wide and 10.55 inches tall what for me it’s really great. For me this is the best of the best when you buy a Wacom tablet. It will hurt at first, but if it speeds your workflow up, you have to get it. Using a Cintiq instead of a regular graphics tablet is quite something else, makes digital art and drawing much more interactive and intuitive at least for me. I love the particular function of the 16 shortcut keys buttons (8 each side of the screen) on this Cintiq 22HD that can be adjusted to work with each software separately, change tools, step back, zoom, etc. that can improve productivity, so most of time I don’t need a keyboard near to me and this saves space on my table also. It have 2 touch strip (one each side back) which can be set to zoom, cycle layer, change brush size and rotate project makes things much faster and easier during creation. The stylus pen has also an eraser function (like a pencil) what is easier and faster than change a tool on Photoshop. The screen is responsiveness so you can also rotate the screen in 180 ° in vertical if need and down the screen 100% plane on the table like a paper. As for the softwares, I always get the Adobe Master Collection updated on my computer, so it includes all graphic Adobe softwares such as Photoshop, Illustrator, InDesign and Acrobat, that are the main ones I use all days. 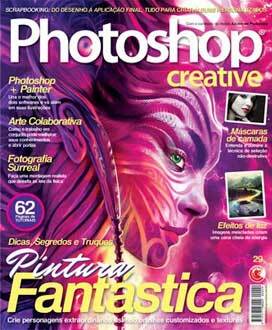 I have used the Adobe versions CS2, CS4 and now I’m using CS6. From time to time I like to do some videos too using Premiere and After Effects but have some time since my last video done. HMA: Have you been involved in exhibitions or special events? Do you have any planned for the future? I never got the opportunity of be involved or invited for an art exhibition with my art, maybe too early for it yet, don’t know. But I really would like to do when the time and opportunity appear. Also I wasn’t invited for an book of album covers yet, but I hope be in a near future, that’s is my real dream to be honest. 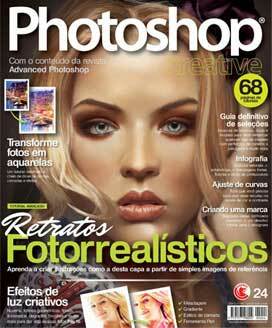 Over the first years I got highlighted by Photoshop Creative Magazine BR/UK (One of the most important magazines about Photoshop and Digital Art) as “Artist of the Week” in August 2009 (before start with CadiesArt) and Featured Artist many times on the website and magazine. 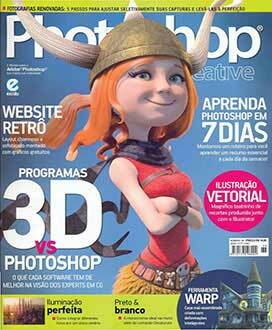 An interview about me and my artworks was published in 4 or 5 printed issues of PS Creative Mag until 2013 I think so. 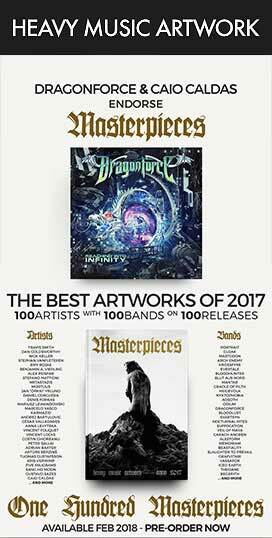 I got just interviewed for some online metal magazines and sites about metal artworks.